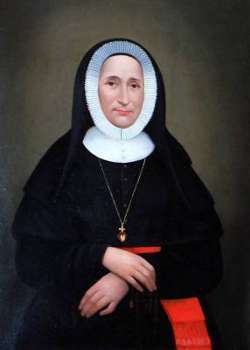 February 4 is the birthday of St. Maria de Mattias, born in 1805 in Vallecorsa, Italy. St. Maria founded the Adorers of the Blood of Christ, part of our Precious Blood Family. There are 2,000 Adorers worldwide, with 200 ministering here in the United States. Inspired by the preaching of St. Gaspar del Bufalo, our founder, and blessed with a vision from God, Maria was compelled to serve “the dear neighbor,” those around her who needed her care. She established nearly 70 schools, many of them in small towns and rural areas, and and many ASC community houses before her death in 1866. St. Maria de Mattias, help us to see our own “dear neighbor” who needs our help!